Comprehensive and up-to-date- the classic visual guide to the basics of building construction For twenty-five years, Building Construction Illustrated has offered an outstanding introduction to the principles of building construction. Now this Third Edition has been expertly revised and updated to address the latest advances in materials, building technology, and code requirements. Complete with more than 1,000 illustrations, the book moves through each of the key stages of the design process, from site selection to building components, mechanical systems, and finishes. Topics within each chapter are organized according to the CSI MasterFormat(TM), making the book extremely easy to use. Special features of this edition include integrated coverage of environmentally friendly materials, sustainable building construction strategies, and ADA requirements, as well as the inclusion of both metric and standard U.S. measurements throughout the book. 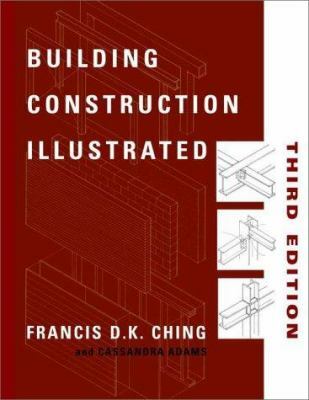 With its clear presentation of the basic concepts underlying building construction, Building Construction Illustrated, Third Edition equips students and professionals in all areas of architecture and construction with useful guidelines for approaching virtually any new materials or techniques they may encounter in building planning, design, and construction.